In “Manuscript for Murder,” things get personal for Jessica when her long-time publisher, Lane Barfield, turns up dead. The one thing Jessica didn’t see coming was an FBI investigation into Lane’s business finances. 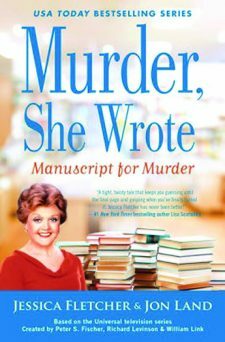 But, Jessica is convinced that the real answer to the mystery of her death lies in a secret manuscript that Lane was set to publish. A manuscript that has now vanished. Jessica believes this book is much more than just a simple bestseller and her search leads her on a trail that puts her very own life in danger. Land takes the action and suspense to a new level, one not found in previous installments in the series. While I thought it was going to be a difficult task for Land to equal the success he had in “A Date With Murder,” he not only did that, readers may agree he surpassed it. This is more than just another whodunit, it’s an action book that brings Jessica’s character into a whole new light. 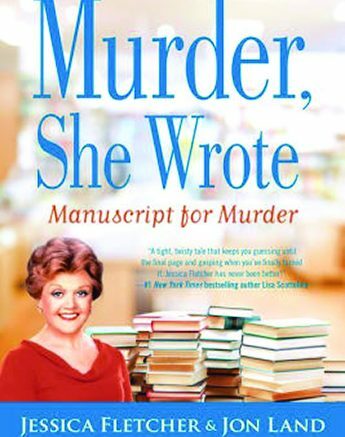 Be the first to comment on "“Manuscript For Murder” by Jessica Fletcher and Jon Land"